Kim threw his white Strat across the stage in frustration after breaking a string. Rush recorded this show for the "Exit...Stage Left" album and video (the liner notes included an obituary for their long-time touring mates: "Max Webster R.I.P."). 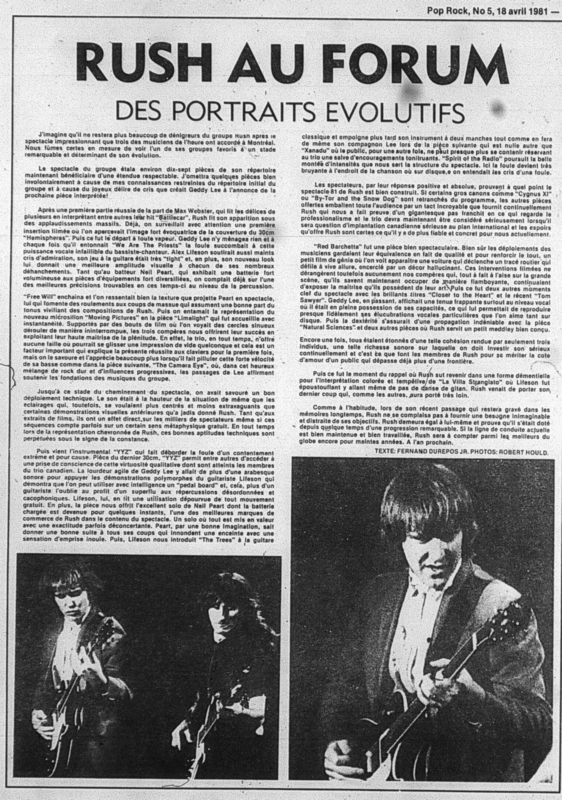 Max were slated to open for Rush the following night at the Civic Centre in Ottawa, but they pulled out.